Last edited by GDMFX; 14-12-2017 at 07:51. Forex News: The first part of yesterday’s trading session was controlled by the bears and the FOMC Minutes added some strength to the US Dollar, revealing that some Fed officials were concerned about low inflation expectations but the majority still expect inflation to rise to 2%. The long awaited retracement finally occurred yesterday and now the pair is testing the level at 1.2000. Both oscillators are showing good downside momentum so we expect price to break the current level and to move closer to the 50 period Exponential Moving Average. The bias is still bullish and the current move is just a needed retracement but if price moves below the 50 EMA, the uptrend started at 1.1735 might be coming to an end. AT 1:15 pm GMT we take a first look at U.S. employment with the release of the ADP Non-Farm Employment Change, which is a report that tracks changes in the number of employed individuals, excluding the farming sector and government. It has a lower impact than the Non-Farm Payrolls released tomorrow, but under normal circumstances, higher numbers strengthen the US Dollar. Today’s anticipated reading is 191K, very close to the previous 190K. 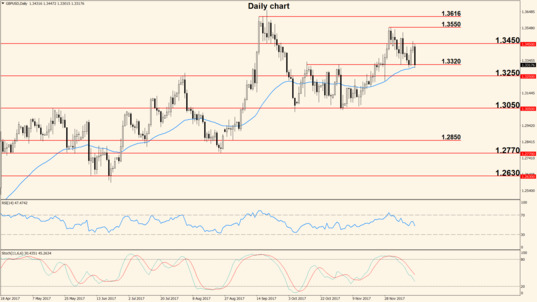 The US Dollar made a comeback early during yesterday’s trading session and dragged the pair into 1.3500 support. 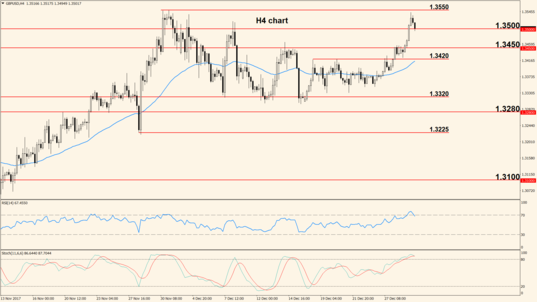 The FOMC minutes had a relatively low impact but gave the greenback an extra push. 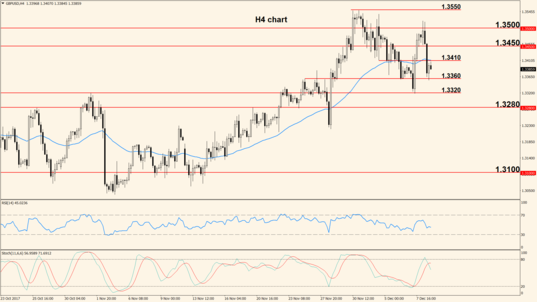 After failing to break 1.3600 resistance the pair retraced lower more than 100 pips, fuelled partly by a worse than anticipated British Construction PMI and partly by the FOMC Meeting Minutes. If the support at 1.3500 will be broken today, we will most likely see an encounter with the 50 period Exponential Moving Average and possibly with 1.3450. 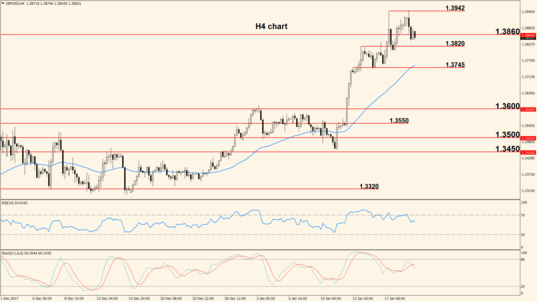 Our bias is bearish for the short term as long as price is trading below 1.3550. The Services PMI is the last in this week’s British PMI series but its impact is usually the lowest out of the three. The release is scheduled at 9:30 am GMT and the expected reading is 58.1; higher numbers show optimism among purchasing managers from the Services sector and this usually strengthens the Pound but to a limited extent. Forex News: Despite a much better than expected ADP jobs report, the pair climbed strongly for most of yesterday’s trading session. 1.2000 is now confirmed as strong support and resistance is once again threatened. The previous high was broken today after a textbook retracement that found support at 1.2000 so all hints point towards a trend continuation and a break of 1.2092 (last year’s high). If this barrier is broken, the next hurdle is located far away, in the 1.2280 zone so surely some weeks will pass until (or if) that mark is hit. A lot will depend today on the outcome of the U.S. jobs report, so the technical aspect will be secondary, especially around the time of release. The first major event of the day will be the release of the European Flash Estimate Consumer Price Index, scheduled at 10:00 am GMT. This is the main gauge of inflation in the Eurozone and usually has a strong impact on the single currency, with higher numbers strengthening it. The anticipated change is 1.4%, a drop from the previous 1.5%. Later in the day the US Non-Farm Payrolls will be released, showing changes in the total number of employed people, excluding the farming sector. This is widely considered the most important US jobs data and has a strong impact on the US Dollar. Higher levels of employment suggest that consumer spending is likely to increase in the near future and this in turn strengthens the greenback. The anticipated change is 188K (previous 228K) and the time of release is 1:30 pm GMT. 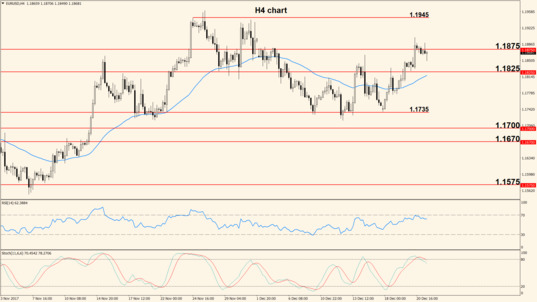 Similar to the EUR/USD, the Cable bounced at support and moved higher throughout yesterday’s session but the Pound’s climb wasn’t as steep as the Euro’s. 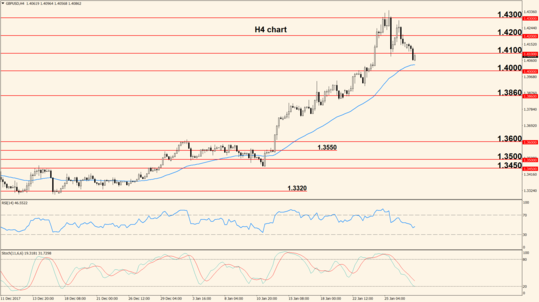 Our short term outlook is neutral until we see a clear break or bounce at 1.3550. Once that happens, the next respective targets will become 1.3600 or 1.3500 but keep in mind that the pair will be also affected by the U.S. jobs data. Today there are no major releases scheduled for the Pound, but the U.S. Non-Farm Payrolls will have a direct and probably strong impact on the pair’s movement. 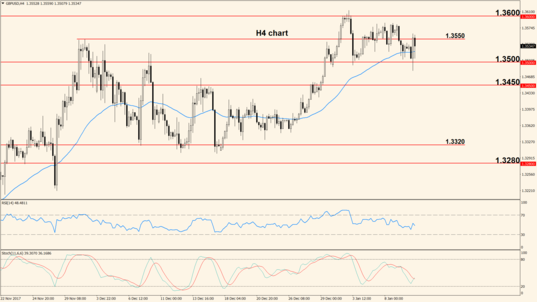 Forex News: The Non-Farm Payrolls released Friday showed a disappointing reading of 148K (anticipated 190K) and this initially generated a climb based on US Dollar weakness. However, the previous value was revised from 228K to 252K and this allowed the greenback to recuperate the losses. 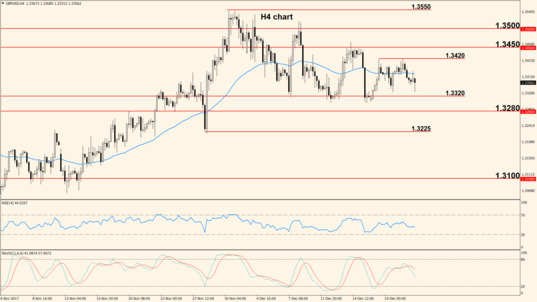 After a long move up, the pair failed twice to move above the resistance at 1.2092, which shows that the uptrend is in need of a deeper retracement, with 1.2000 as first target. It is very possible to see a touch of this level today but we don’t expect the move to extend past it, especially because the 50 period Exponential Moving Average is in close vicinity and will provide extra support. At 10:00 am GMT the Eurozone Retail Sales come out, showing changes in the total value of sales performed through retail outlets across Europe. However, most European states have already released their retail sales data, so this release is less important. 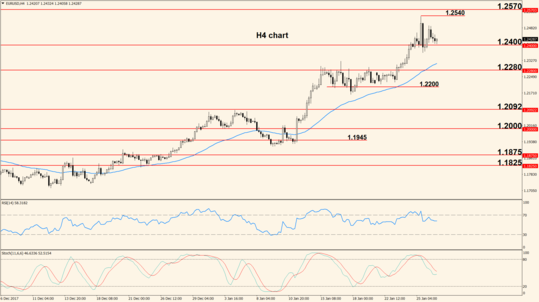 Higher numbers than the anticipated 1.4% usually strengthen the Euro. Friday’s price action was mainly influenced by the mixed NFP report, which showed a worse than expected number but the previous value was revised better, thus creating a mixed reaction. 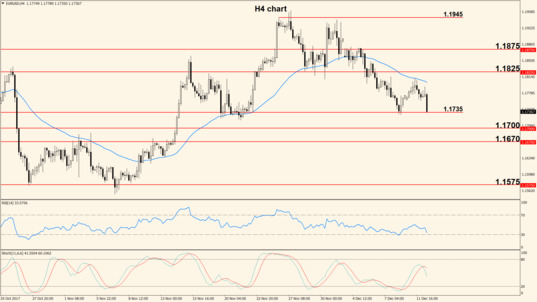 Given Friday’s choppy price action, the next direction is difficult to anticipate but as long as the pair is trading above 1.3550, the bias is slightly bullish and 1.3600 is the first target. A move below this level will make the 50 period Exponential Moving Average the target for the day. However, due to the lack of economic releases today, it is probable that we will get a slow and possibly ranging trading session. The Pound will not be affected today by any scheduled economic releases, so the technical side will decide the pair’s direction. 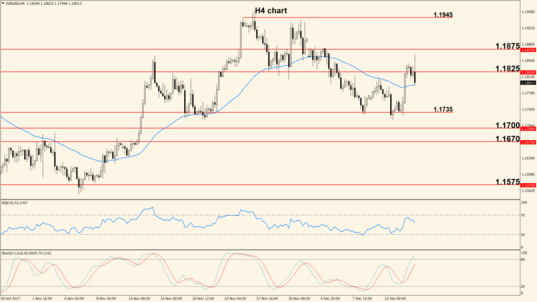 Forex News: Monday’s trading session belonged to the bears and the US Dollar made substantial advances south, breaking key support. 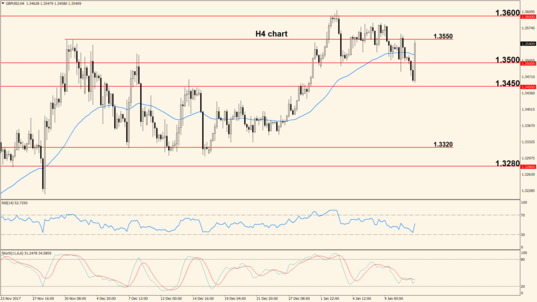 Part of the US Dollar demand was due to expectations that the Fed may hike rates again in March. 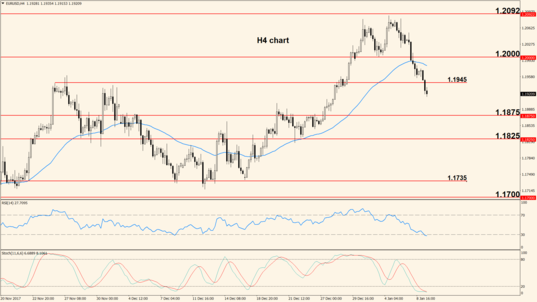 The bearish break of the key support at 1.2000 and the 50 period Exponential Moving Average brought in more sellers and the pair plummeted in close vicinity of the next support at 1.1945 – 1.1950. Early in today’s session we expect to see a touch of this support and if the move turns into a break of the level, the next target will become 1.1900 – 1.1875. Once the Relative Strength Index becomes oversold, the pair will likely retrace to the upside but as long as it stays below the 50 EMA, our bias is bearish. The currencies in the pair will not be affected by scheduled major economic releases, thus the technical aspect will take center stage. 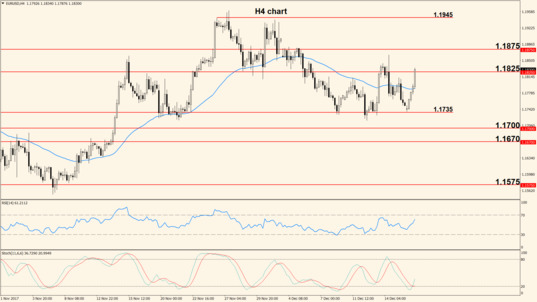 Early during yesterday’s trading session the US Dollar dragged the pair below 1.3550 but soon after it returned to the level, creating choppy price action as expected. 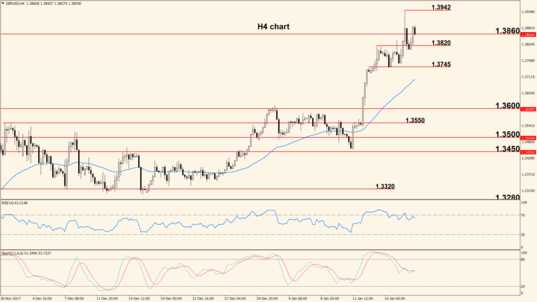 The pair remains in a range, without a clear direction but 1.3550 is still important for short term movement. Currently price is touching the level after an initial break so we may be dealing with a re-test, meaning that if the bulls cannot take the pair above the level, it will turn into resistance and we will see moves south. If this is true the 50 EMA will be the first target, followed by the support at 1.3500, otherwise 1.3600 will become the next destination. Similar to the Euro and the US Dollar, the Pound will not be affected today by any notable economic data releases. 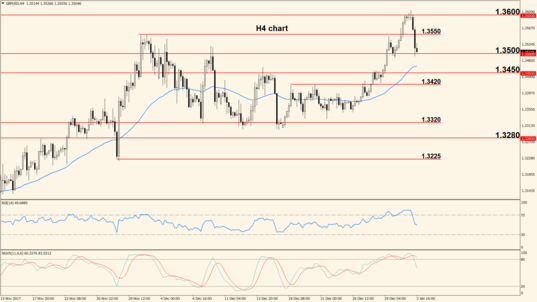 Forex News: The US Dollar continued to strengthen yesterday and the pair was dominated by the bears who managed to break the support at 1.1945 as previously anticipated. The current bias is clearly bearish but the pair has travelled a long distance to the south without a proper pullback and now the Relative Strength Index and Stochastic have both entered oversold. These are signs that point towards a move up during today’s trading session but as long as the pair remains below the 50 EMA, we favour the downside after the said pullback is complete. Today we have another slow day from a fundamental standpoint, without any major economic releases for the Euro or US Dollar. 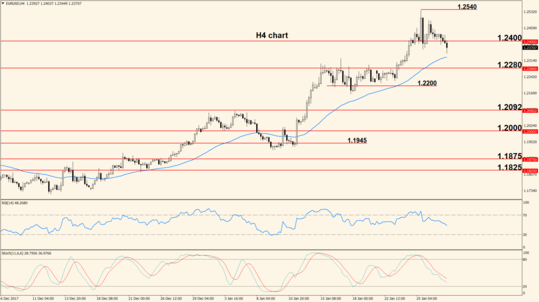 After moving once again above 1.3550, yesterday the pair finally broke the level as well as the 50 period Exponential Moving Average, indicating that the balance of power is tilting towards the short side. At the time of writing the pair is showing good downside momentum and the 50 EMA seems broken with authority. Unless price quickly reverses and moves above the EMA, we expect to see a break of the support at 1.3500, which if it happens will most likely bring in additional sellers, making 1.3450 the next target. The British Manufacturing Production will be today’s only notable release, scheduled at 9:30 am GMT. The report shows changes in the total value of goods generated by the manufacturing sector and usually has a medium but positive impact on the Pound if the actual reading surpasses estimates. Today’s forecast is a change of 0.3% compared to the previous 0.1%. 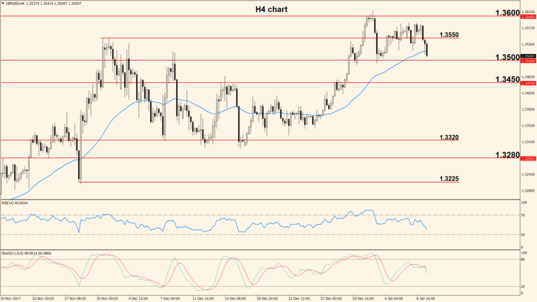 FOREX NEWS: US DOLLAR TAKES A BLOW AFTER CHINA NEWS. RESISTANCE STILL HOLDS, BUT FOR HOW LONG? Forex News: During yesterday’s trading session the US Dollar took a big hit after news emerged that China is planning to stop buying US government bonds. 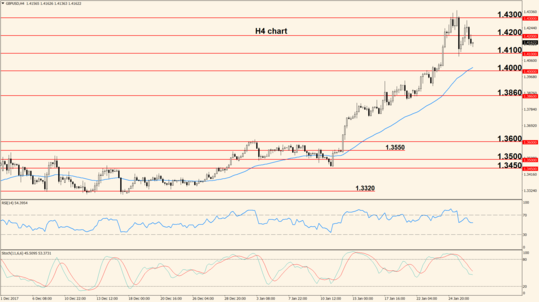 The pair rallied sharply into 1.2000 area but the level is still holding at the time of writing. 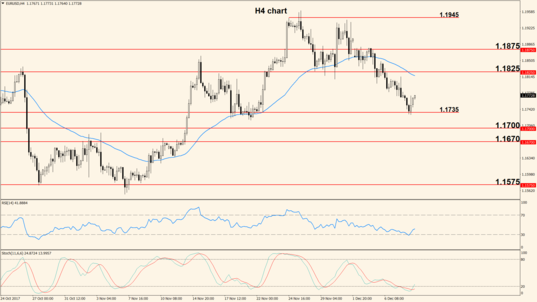 Yesterday’s move took the pair slightly above 1.2000 resistance but some of the losses were erased as the US Dollar recovered. Currently price is trading above the 50 period Exponential Moving Average and the US Dollar seems weak across the board, so we may very well see a break of 1.2000 and if that materializes, the pair is headed higher. On the other hand, a break of the 50 EMA would make 1.1945 the target once again. The most notable release today will be the US Producer Price Index, which shows changes in the price that producers charge for their goods and services. The indicator has inflationary implications because a higher producer price often leads to a higher consumer price. The release is scheduled at 1:30 pm GMT and the expected change is 0.2% (previous 0.4%); numbers above forecast usually strengthen the US Dollar. 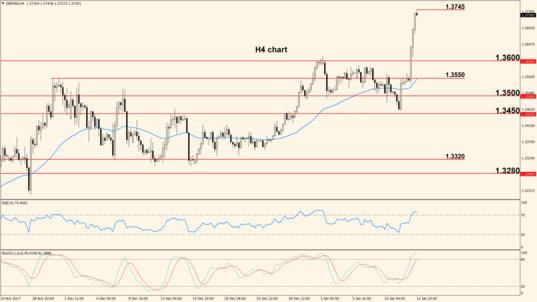 After what appeared to be a clean break of 1.3500, the pair rallied on the back of US Dollar weakness generated by the China news mentioned above. However, resistance couldn’t be surpassed and the pair remained in a range. As long as the pair remains between 1.3500 support and 1.3600 resistance, we consider it in a ranging phase, without clear direction. The oscillators are lacking momentum and the 50 EMA is starting to turn flat, supporting the view of a ranging market. A potential break of 1.3550 will take price to the top of the range (1.3600) and on the other hand, a bounce would make 1.3500 the target for the day. The United Kingdom didn’t schedule any important economic releases for today, so the technical aspect and the US PPI will take center stage. Forex News: The ECB revealed yesterday that some changes to the interest rate or QE program might be coming in early 2018 and this was the reason for the strong climb, which was further fuelled by a disappointing U.S. Producer Price Index. 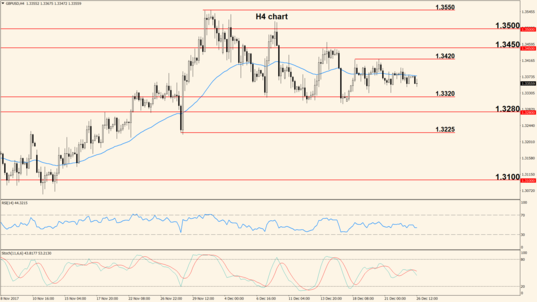 The pair rallied after a dip into 1.1945 support and the strong move seen during yesterday’s trading session broke the resistance at 1.2000 with authority. This move will probably extend into the key resistance at 1.2092 (last year’s high) and the probability of another drop below 1.2000 is slim, at least for the moment. The US data released today will surely have a strong impact on the US Dollar and thus on the pair’s direction. The US Consumer Price Index will be released today at 1:30 pm GMT, showing changes in the price that consumers pay for their purchases. It acts as a main gauge of inflation and usually has a positive effect on the greenback if it posts numbers above forecast, which for today is 0.1%. At the same time the US Dollar will be affected by the US Retail Sales release, which shows changes in the total value of sales made through retail outlets. It is an important gauge of consumer spending and higher numbers than the expected 0.5% usually strengthens the greenback. The US Dollar gave back all of the previous gains yesterday on the back of a disappointing PPI reading and the pair posted a bullish day, breaking above the 50 period EMA. The latest momentum is clearly bullish based on the US Dollar weakness seen yesterday but the pair is facing a pretty strong resistance at 1.3550. If this barrier will be broken, we expect to see a push into the next key level at 1.3600. Possible moves lower should find good support at the 50 period Exponential Moving Average but as long as price remains above it, our bias is bullish, although a clear trend is not yet established. The Pound has another slow fundamental day ahead but the pair will be fuelled by the U.S. events mentioned earlier and by the technical side. 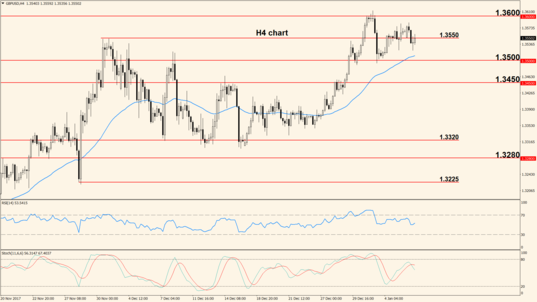 Forex News: Friday’s US data was mixed and did little to stop the assault of the Euro, which was boosted by positive news coming from the German political scene. 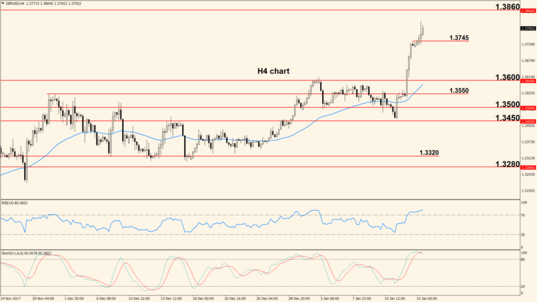 The pair climbed strongly for the entire day, finishing the session more than 150 pips higher. The pair is on a massive bull run and is headed towards the long term resistance at 1.2280 but until it gets there, we will most likely see a pullback. Usually after a strong climb price tends to retrace or to consolidate in a tight range due to profit taking (buyers close their positions by selling). The Relative Strength Index is also overbought, increasing the chance of a move lower but after the possible retracement is over, we expect higher prices. Today banks in the United States will be closed in observance of Martin Luther King Day and no economic data will be released. Also, Europe will not release any data today and this may lead to a slow, ranging session. 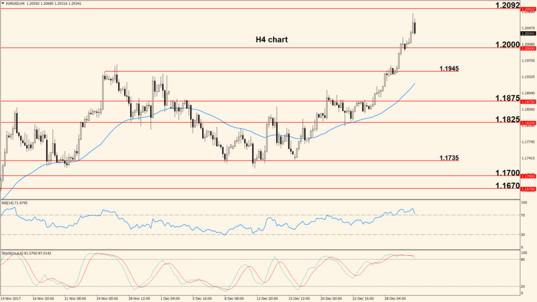 Friday the US Dollar remained under heavy selling pressure for the entire trading session and the pair posted massive gains, reaching a high at 1.3745. The overall environment is clearly bullish but today it is very possible to see a move lower, basically for the same reasons as outlined above. The Relative Strength Index is overbought and usually after a strong move up, price tends to retrace south due to profit taking. 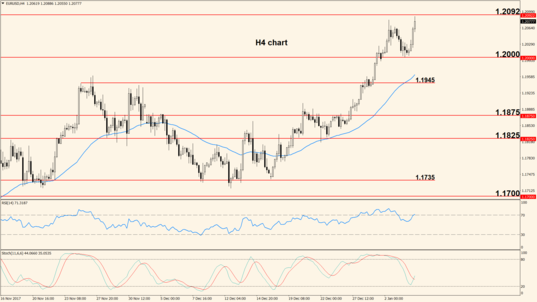 After the pullback is complete we expect the pair to move higher unless the US Dollar gets a boost from unexpected news. 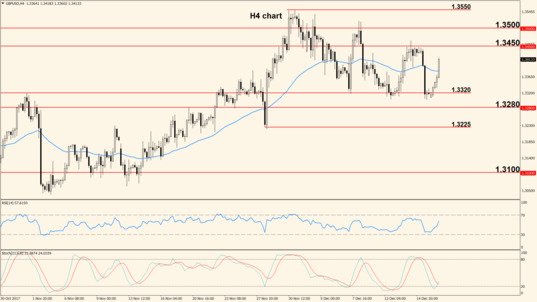 Similar to the Euro and US Dollar, the Pound will not be affected today by any important economic releases, so the technical aspect will prevail. 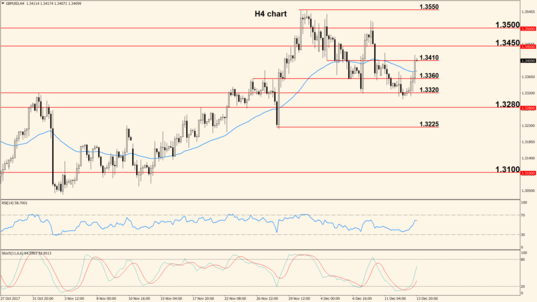 Forex News: Price action remained bullish yesterday but without any major developments coming from the fundamental scene. The pair reached the long term resistance at 1.2280 and bounced lower. The massive bullish rally seen last week and yesterday has brought the pair into the resistance at 1.2280 and the Relative Strength Index in deep overbought territory. These two facts will most likely trigger a pullback today but after its completion, we expect the pair to break 1.2280 – 1.3000. If that happens, the pair will be in “uncharted” territory until it reaches the zone around 1.2600. 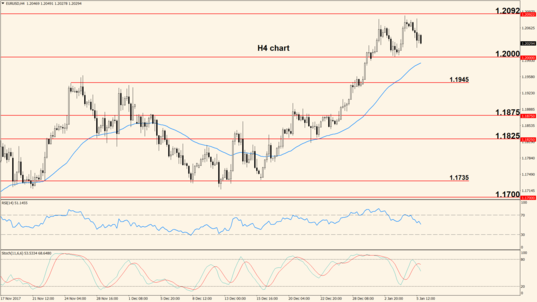 Both the Euro and US Dollar have a slow economic day ahead, without any notable releases, so the technical aspect will take center stage. The US Dollar couldn’t make any advances against the Pound, although some attempts were made, so the pair continued higher. This was a continuation of the momentum started last week, not the result of new developments on the fundamental scene. The bulls are in clear control but the possibility of a retracement lower is higher than it was yesterday, due to the long distance travelled upwards in a short period of time. 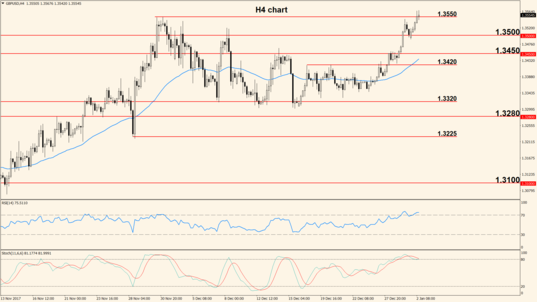 The RSI and Stochastic are extremely overbought, thus increasing the chances of a pullback. 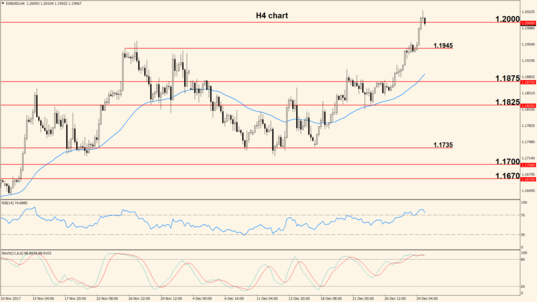 The levels to watch are 1.3745 as potential support and place where bullish movement may resume and 1.3860 as resistance. The day’s main event will be the release of the British Consumer Price Index, scheduled at 9:30 am GMT and expected to show a yearly change of 3.0% compared to the previous 3.1%. This is the main gauge of inflation, showing changes in the price that consumers pay for the goods and services they purchase. The indicator usually strengthens the Pound if it posts readings above forecast. 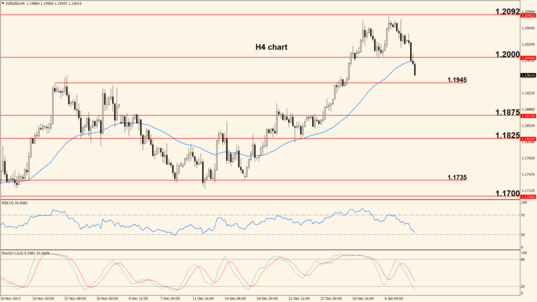 Forex News: The pair finally retraced lower during yesterday’s trading session after failing to break 1.2280 resistance. The move was mostly technical as no major economic data was released for either currency in the pair. 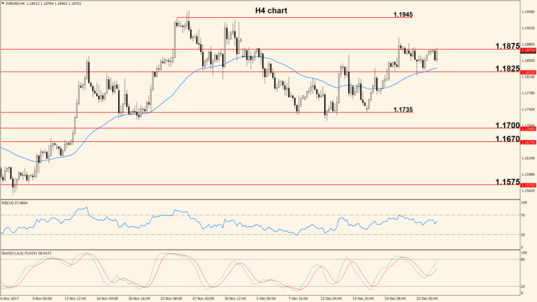 Several candles have shown long wicks on their upper part, piercing through 1.2280 and then retreating below the level. This is a clear sign that 1.2280 cannot be broken for the time being, so we expect the retracement started yesterday to extend below 1.2220, which is a minor support. A good place for upside movement to resume is somewhere around 1.2200 but if that barrier is broken, the pair will be headed into the 50 EMA. The European Final Consumer Price Index will be released today at 10:00 am GMT, showing changes in the price paid by consumers for the goods and services they purchase. This is the main gauge of inflation but the Final version tends to have a lesser impact than the previous two versions; however, a higher change than the forecast 1.4% usually strengthens the Euro and takes the pair higher. On the US Dollar side the only notable release will be the Industrial Production, scheduled at 2:15 pm GMT. The indicator has a low-to-medium impact and higher numbers than the forecast 0.3% have a positive influence on the greenback. Yesterday the British CPI matched the market consensus so the release didn’t have a strong impact on the Pound and the pair finally moved lower after a long period of bullish action. Price action created resistance at 1.3820 and the pair dropped into the minor support at 1.3745 but the Relative Strength Index and the Stochastic are still close to overbought levels so it is very possible to see a continuation of this retracement below 1.3745. The overall bias is still clearly bullish, so we expect a break of 1.3820 after the pullback is over. The United Kingdom didn’t schedule any notable economic data releases for today so the technical aspect will decide the pair’s direction. 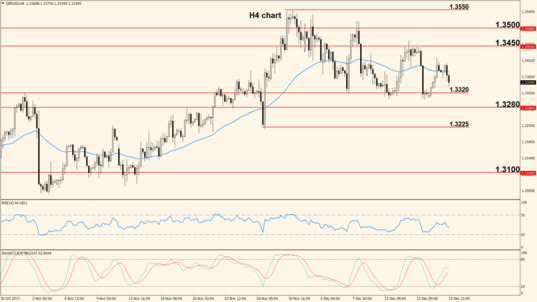 Forex News: The Final version of the European CPI was in line with expectations, posting a 1.4% change and the pair remained inside a range for most of yesterday’s session. 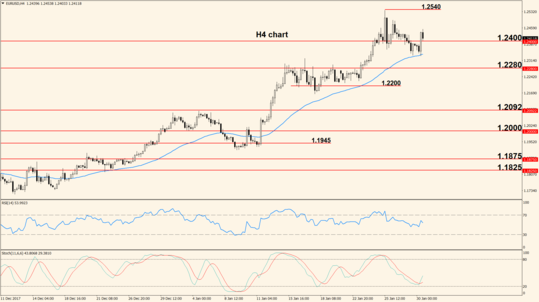 Price spiked above 1.2280 but immediately retraced below the level and dropped into the support at 1.2195. This type of behaviour means that the pair is likely to spend an extended period of time in a consolidation phase between 1.2195 and 1.2280 but once a clear breakout occurs, price will likely move in that direction for a longer period of time. At 1:30 pm GMT the US Building Permits come out, showing how many permits were issued during the previous month. This is a good gauge of construction activity because getting a permit is the first step in starting a building and usually higher numbers strengthen the US Dollar but the impact is not always notable. Today’s forecast is 1.29 Million, very close to the previous 1.30 Million. 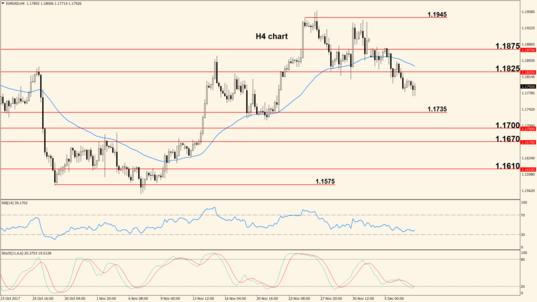 Similar to the EUR/USD, the Cable showed mixed movement yesterday and remained confined in a relatively small range after a failed attempt to break resistance. 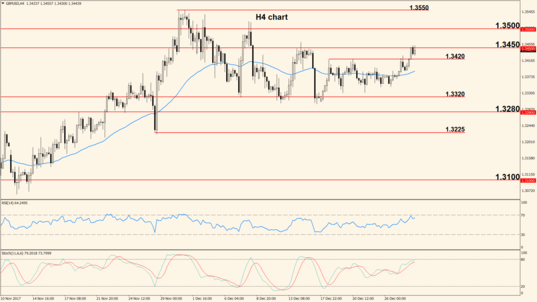 The overall bias remains clearly bullish but it seems the pair is taking a breather and is consolidating between 1.3745 and 1.3820. Until a breakout occurs we expect to see choppy movement and once it does, the pair will extend into 1.3860 or the 50 period Exponential Moving Average, depending on the direction of the breakout. The Pound will not be affected by major economic data today so the technical aspect will be the main price driver. Forex News: The pair continued to trade in a range yesterday and showed a bounce at resistance followed by a failed break of support. 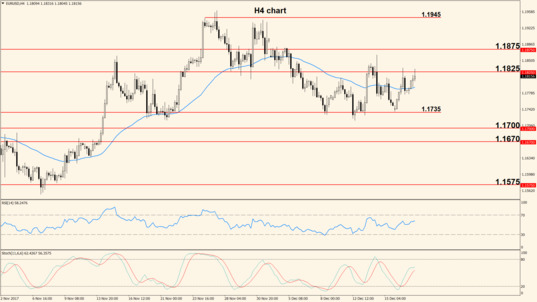 The US data was mixed and didn’t have a notable impact on price action. The uptrend is still strong but for the time being the pair remains in consolidation phase until 1.2195 support or 1.2280 resistance is broken. It must be noted that the bulls have tried several times to break 1.2280 and each time the attempt resulted in a huge pin bar candle (very long wick, small body), which is a sign of strong rejection. 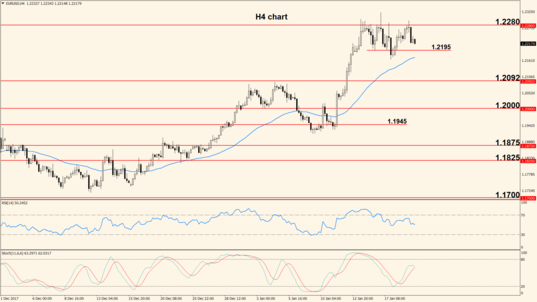 If the pair descends again below 1.2195 we expect to see an encounter with the 50 EMA. Today’s only notable release for the pair will be the University of Michigan Consumer Sentiment, scheduled at 3:00 pm GMT. This survey gauges the opinions of consumers regarding current and future economic conditions and acts as a leading indicator of consumer spending. Higher readings indicate optimism and usually strengthen the US Dollar but the impact is limited if the actual number comes close or matches expectations. Today’s forecast is 97.0 while the previous was 95.9. 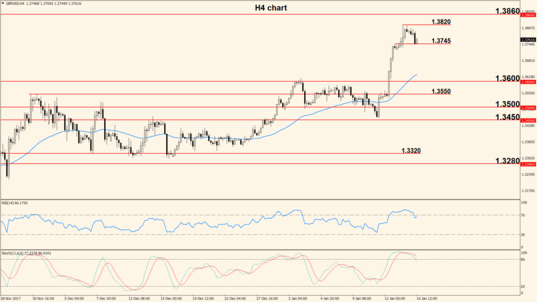 The pair created a new top at 1.3942 but retraced lower and at the time of writing it is hovering close to the previous resistance at 1.3860. 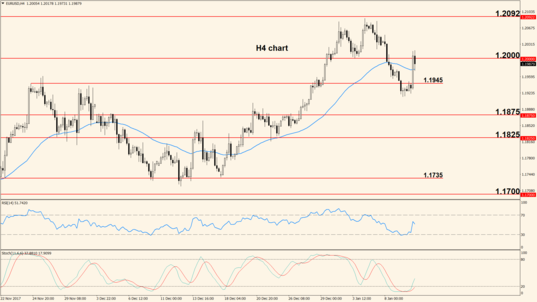 The outlook remains bullish but short term action is mixed. The Relative Strength Index is moving lower but price is still moving higher. This is a bearish divergence that warns of a potential move south, which will have increased chances of happening if the pair moves below 1.3860. 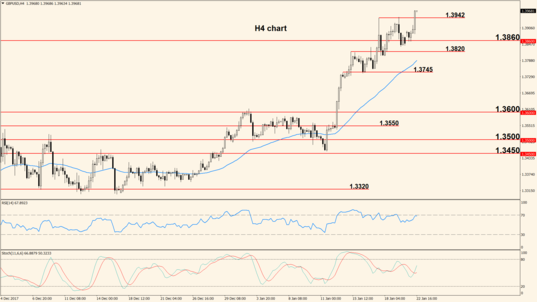 Such a scenario will have 1.3820 – 1.3800 as first target but if the pair stays above 1.3860, we expect another move towards 1.3942. At 9:30 am GMT the British Retail Sales come out, showing changes in the total value of sales made through retail stores. Such sales represent the main part of consumer spending, thus higher numbers can have a positive impact on the currency. Today’s expected change is a drop of -0.8% from the previous 1.1%. 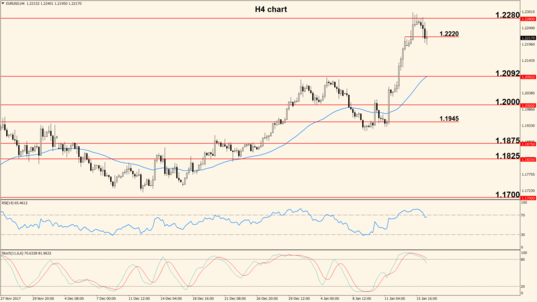 Forex News: Friday we saw mixed price action and yet another move into resistance that resulted in a bounce lower. The US Consumer Sentiment survey posted a lower than expected reading but the US Dollar still gained against the Euro and overall price remained in range-mode. Price bounced several times at 1.2280 resistance and this suggests that we will see moves lower before bullish price action can resume. 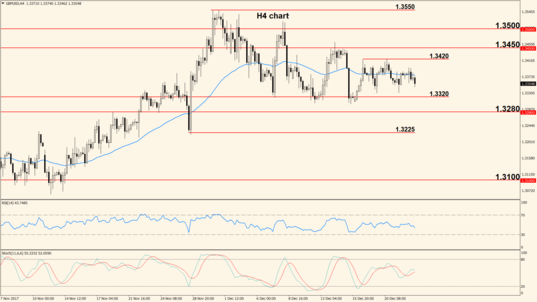 For today we expect to see a slow and ranging session, confined within the channel created by 1.2280 and 1.2195. A break of the 50 period EMA will make 1.2100 the next target but it will probably take more than one day to reach it. Today the Eurogroup Meetings will take place in Brussels but other than that, the fundamental scene is calm and without major economic data. 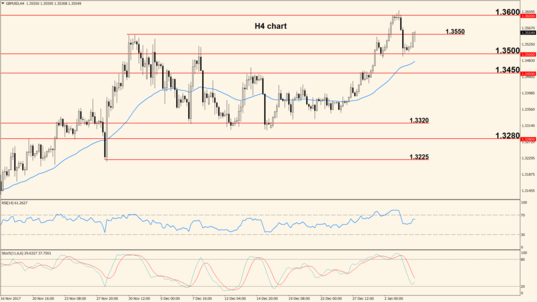 Friday the pair made another attempt to break the previous high located at 1.3942 but this resulted in a perfect bounce lower, thus establishing the level as strong resistance for the future. The pair showed several times that it is overextended and the last bounce at 1.3942 is indicative of an extended move to the downside. The first target for today will be 1.3820, followed by the 50 period Exponential Moving Average. If the bulls take price higher from the current level and break 1.3942, we don’t expect strong moves above it. The Pound will not be affected today by economic data so the technical aspect will take center stage. Forex News: The pair remained inside the range for the entire yesterday’s trading session, mostly due to the lack of any fundamental developments or economic data releases. Trading was choppy and without important advances to either side. The balance of power doesn’t favour either side as long as price remains confined inside the channel created by 1.2195 support and 1.2280 resistance. Usually when a horizontal channel is broken, price continues to move in the direction of the break for an extended period of time and because an uptrend is in place, we favour a bullish break, followed by upside movement. Today’s price action will likely be influenced by the WEF Meetings, so caution is advised. The German ZEW Economic Sentiment will be released today at 10:00 am GMT, showing the opinions of about 300 German investors and professional analysts about a 6-month outlook for the German economy. The survey acts as a leading indicator of economic health but the impact is not always notable; nonetheless, numbers above the expected 17.8 can strengthen the Euro. Also, today is the first day of the World Economic Forum Annual Meetings held in Davos. 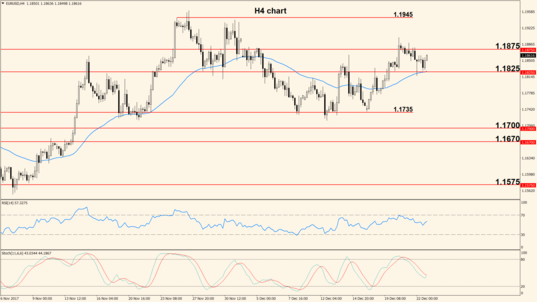 The bias was mostly bullish yesterday and the Pound bulls made notable advances, breaking the previous top at 1.3942. 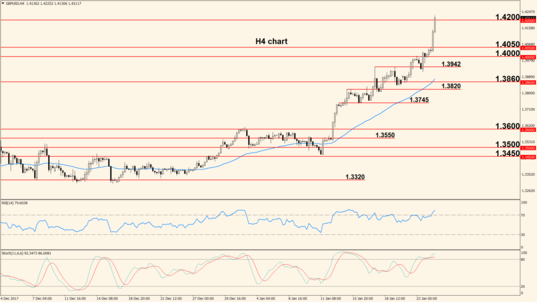 The break of 1.3942 marks the resumption of the uptrend and indicates that higher prices will probably follow. The next major hurdle is the psychological resistance at 1.4000, which is a big, round number that will very likely generate a bounce lower if it’s touched. It must be noted that the Relative Strength Index is again close to overbought and this increases the chances of a move lower. The Pound will not be affected by major economic data today but United Kingdom representatives will attend the WEF Meetings and this may be a reason for increased volatility. 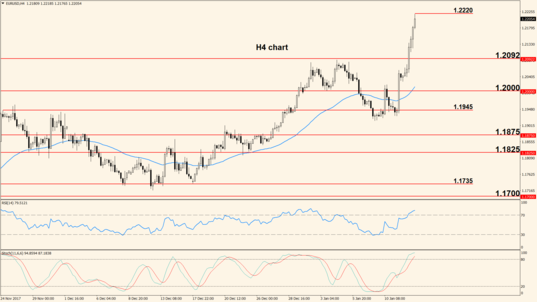 FOREX NEWS: US DOLLAR TAKES ANOTHER BEATING. HIGHER PRICES TO FOLLOW? Forex News: The pair remained in a tight range for most of yesterday’s trading session but later in the afternoon bullish pressure increased and we saw a break of the horizontal channel. However, it remains to be seen whether this break is true or not. The move outside the horizontal channel created by 1.2195 support and 1.2280 resistance cannot be considered a true break at least at the time of writing. If it will turn out to be a clear break, then 1.2280 will become support and the next target will become 1.2350 followed by 1.2400. A more important resistance is located at 1.2570 but that’s a distance too big to be travelled over the course of one day. We have a slow day ahead, with some Eurozone data making the headlines: at 9:00 am GMT the European Manufacturing and Services PMIs will be released, showing the opinions of purchasing managers about business conditions in the respective sector. The surveys act as leading indicators of optimism and economic health but the impact is often overlooked by market participants if the actual reading doesn’t differ a lot from expectations. The forecast for the Manufacturing PMI is 60.4 and for the Services PMI is 56.5. 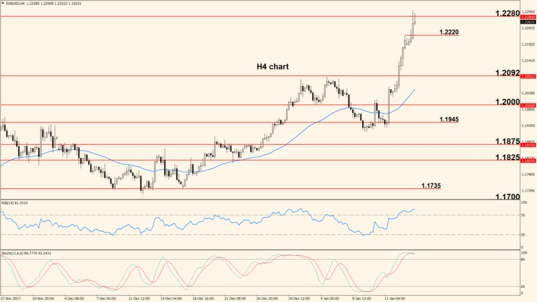 The US Dollar remained under pressure yesterday and allowed the Pound to take the pair into 1.4000 territory. 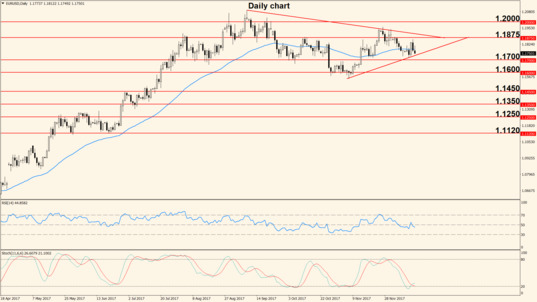 The move was mostly technical but the USD weakness played an important role. 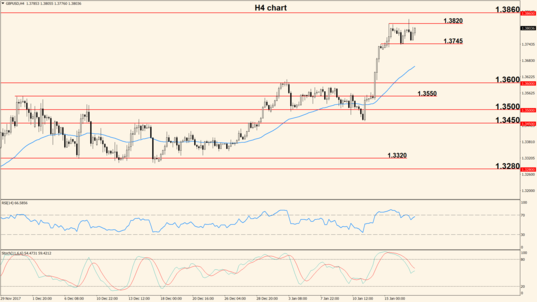 At the time of writing the pair is hovering near 1.4000, which is a major psychological level that may trigger a bounce lower. The overall bias is clearly bullish and the pair is in an uptrend so all moves south should be treated as retracements as long as price remains above the 50 EMA. 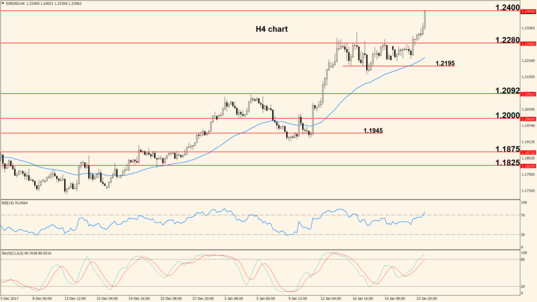 The first target for the day is 1.4050 if 1.4000 turns into support. Today’s highlight for the Pound will be the Average Earnings Index, scheduled for release at 9:30 am GMT. The index shows changes in the wages paid by employers for labor and acts as a leading indicator of inflation because when businesses increase the price they pay for work, they usually increase the price of their products. The expected change is 2.5%, same as previous and higher numbers usually strengthen the Pound. Forex News: Yesterday the US Dollar remained under heavy selling pressure for the entire trading session and the pair made huge advances, reaching the resistance zone around 1.2400. Part of yesterday’s move was triggered by new hints that the United Kingdom – European Union divorce will be smooth, so both the Euro and the Pound strengthened against the US Dollar. 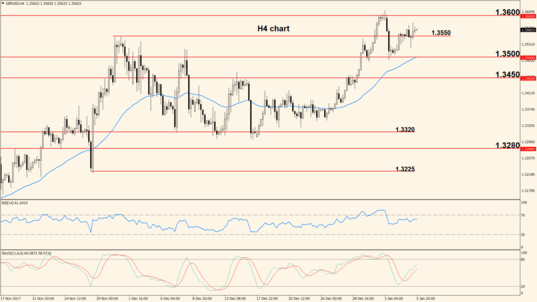 The pair is now sitting at a big round number (1.2400) which acts as resistance and this calls for a retracement. Some of yesterday’s buyers are likely to close out their positions due to profit taking and this normally generates a move lower. The overall bias is clearly bullish so after the pullback, we expect higher prices. All eyes will be on the Euro today for the ECB Interest Rate announcement scheduled at 12:45 pm GMT and followed shortly after by Mario Draghi’s press conference (1:30 pm GMT). The rate is not expected to change (currently 0.00%) but if the ECB President will hint towards changes to the QE program, then the Euro is likely to show strong volatility. Positive British jobs data combined with hopes of a smooth Brexit were the main ingredients for yesterday’s huge rally that took the price above 1.4200. The pair is now prone to a move lower. The pair is massively overextended and once the bullish momentum dims down we expect to see a pullback based on profit taking. The Relative Strength Index and Stochastic are both above their respective overbought levels, thus supporting a bounce lower. Of course, the main bias is clearly bullish so we will most likely see higher prices after the retracement. The United Kingdom didn’t schedule major data releases for today so the technical aspect will decide the pair’s direction. Forex News: Friday the Advance version of the US Gross Domestic Product showed a very disappointing figure of just 2.6%, compared to the expected 3.0% but the previous value was revised better. All this generated a mixed trading session, with choppy movement. 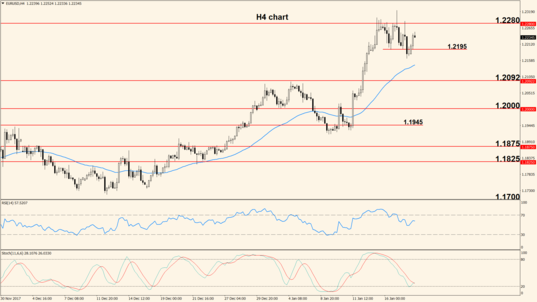 Bullish momentum shows signs of slowing down but the pair is facing support at 1.2400. This level will probably generate a bounce higher but we don’t expect to see a move above last week’s high located at 1.2540. On the other hand, a break of 1.2400 will send the pair into the 50 EMA but the oscillators lack momentum and the fundamental scene will be mostly quiet today, which are factors that may contribute to a low volatility session. The day lacks any notable economic data releases for both currencies, so we expect slow or possibly ranging price action. 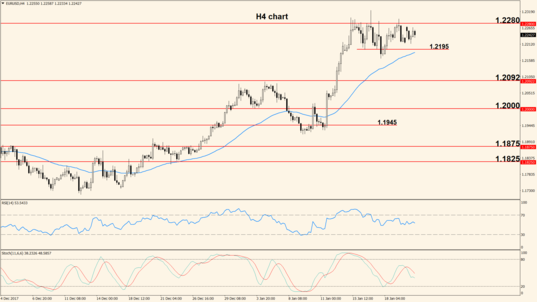 Price made another attempt to climb into 1.4300 resistance but returned lower later during Friday’s trading session. This may mark the beginning of a ranging period. After the huge climb started at 1.3450, the pair is finally showing signs of slowing down as seen by Friday’s failed attempt to move into 1.4300 and the consequent drop below 1.4200. Today we will most likely see a drop into 1.4100 and possibly into the 50 EMA but the overall outlook is clearly bullish so the current move should be treated as a retracement, not a reversal. Similar to the other two currencies, the Pound will not be affected by economic data today, so the technical aspect will decide the pair’s behavior. 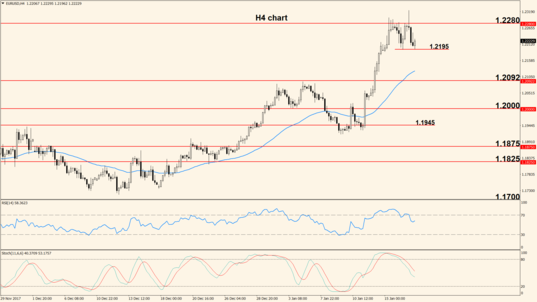 FOREX NEWS: PULLBACKS REACH KEY SUPPORT. ANOTHER RALLY IN THE MAKING? 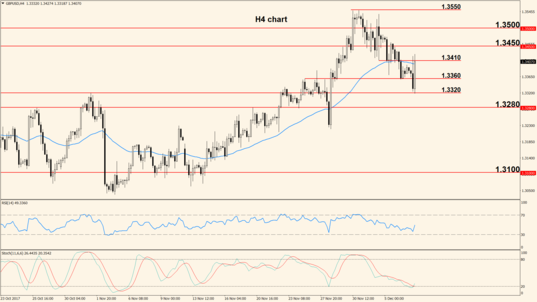 Forex News: The sellers were in control for the most part of yesterday’s trading session, mostly due to technical reasons because the fundamental scene was calm and without any notable releases. Price is currently retracing from highs and approaching the 50 period Exponential Moving Average. As long as it remains above the 50 EMA, the move is considered a normal pullback after an extended period of upside movement but a break of the mentioned support will possibly trigger a stronger move south. However, the uptrend is still in place as long as 1.2200 remains support. The first event of the day will be the release of the German Preliminary Consumer Price Index, which is the main gauge of inflation and because the German economy is one of the most important in the Eurozone, the impact of the CPI is usually high. The time of release is 1:00 pm GMT, the expected change is -0.5% (previous 0.6%) and higher values usually strengthen the Euro. At 3:00 pm GMT the US Consumer Confidence survey will come out, showing the opinions of about 5,000 households about overall economic conditions in the United States. A higher than anticipated value suggests that consumer spending will increase in the near future and this in turn strengthens the US Dollar. The forecast is 123.2 but the impact is usually medium, not high. 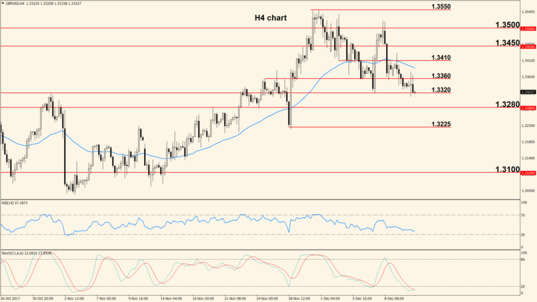 The US Dollar showed signs of recovery yesterday, so the session belonged mostly to the sellers, who managed to break the previous support at 1.4100. The break of 1.4100 is an important victory for the bears but now they are facing a more important support represented by the 50 period Exponential Moving Average. A break of this barrier will take the pair into 1.4000, which is a key level, both from a technical standpoint, as well as psychological. Our outlook remains bearish for the short term but the pair is still in a clear and strong uptrend. Today at 3:30 pm GMT, Bank of England Governor Mark Carney will testify before the House of Lords Economic Affairs Committee. This speech has the potential to move the Pound strongly, so we recommend caution if trading at the time. 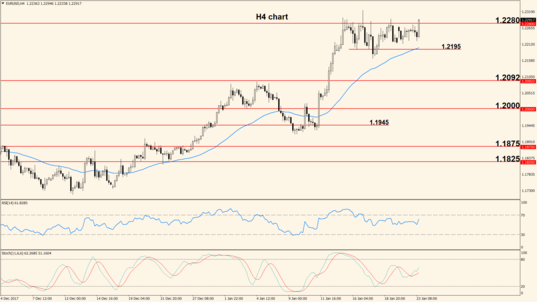 Forex News: Yesterday the bulls came back into the market, taking the pair above 1.2400 after a bounce at the 50 EMA. The US Consumer Confidence survey came out above expectations but the US Dollar remained mostly unaffected. 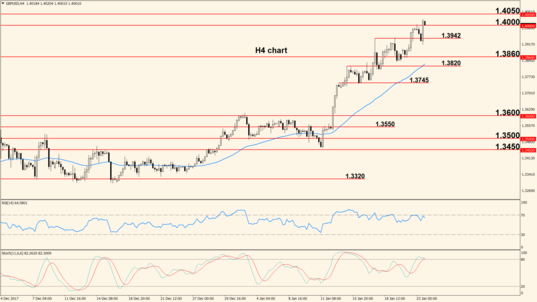 The pair has already bounced twice at the 50 period EMA and broke 1.2400 to the upside. These are clear bullish signs that suggest we will see higher prices in the near future. The first notable zone of interest is located around the previous top at 1.2540 but it’s also likely to see ranging price movement until later in the afternoon when the FOMC Statement is released. We have an important day ahead for both the Euro and the US Dollar: at 10:00 am GMT the European Flash Estimate Consumer Price Index comes out, showing the state of inflation across the Eurozone. The indicator has a strong impact on the currency, with higher numbers strengthening it; today’s forecast is a change of 1.3% compared to the previous 1.4%. Later in the day, at 7:00 pm GMT the Fed will release the FOMC Statement, which contains the outcome of the rate vote (no change expected from the current <1.50%) but also details about the reasons that determined the vote. If we will get some hints about future rate increases, the US Dollar will likely move strongly, otherwise the impact will be limited. 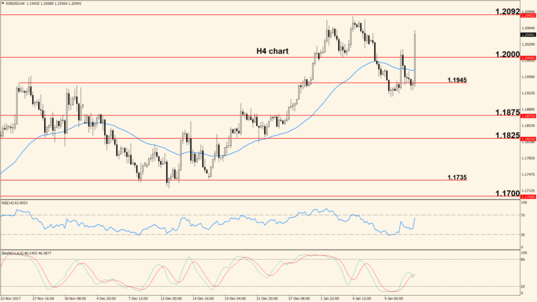 Yesterday the bearish retracement found support at the key 1.4000 level and bounced higher for more than 100 pips. The testimony of BOE Governor Carney went mostly unnoticed. The pair is capped by a bearish trend line seen on the chart above and at the time of writing, this line is not broken. If price returns below the line and below 1.4100, we will most likely see another touch of the 50 period EMA and possibly 1.4000. A successful break of the trend line will make 1.4200 the first target of the day but a lot will depend on the US data. The economic calendar doesn’t hold any important releases for the Pound today so the US events will be the main market driver. Forex News: The pair traded above 1.2400 for most of yesterday’s trading session but the US Dollar showed some signs of strength at the time of the FOMC release. The Fed kept the rate unchanged but mentioned that gradual increases will be performed as the economy requests it. 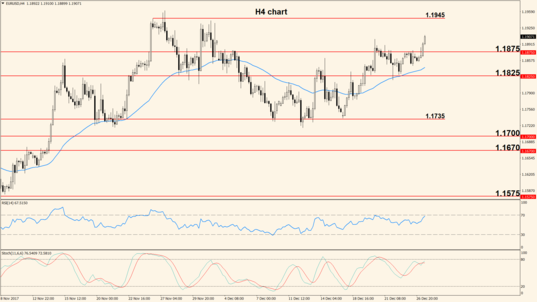 The bias remains bullish as long as price is above the 50 period but it is now clear that the upside momentum is fading. This means that we will probably see a drop through the 50 EMA and closer to the support around 1.2300 – 1.2280. A bounce at the current support (1.2400) would invalidate such a scenario and will make 1.2540 the next destination. Action slows down a bit today and the US Manufacturing PMI will be the only notable release. Scheduled at 3:00 pm GMT, this survey shows the opinions of purchasing managers about economic and business conditions in the Manufacturing sector. It acts as an indicator of optimism that has a medium impact on the currency; higher numbers than the forecast 58.7 are beneficial for the US Dollar. 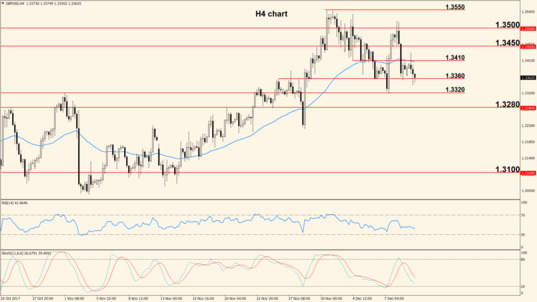 Price action was choppy throughout yesterday’s trading session but with a bullish bias and the pair broke the bearish trend line, moving into the target at 1.4200 before dropping lower. The move lower generated by the FOMC Statement is likely to extend into the support at 1.4100 and possibly into the 50 period EMA. However, we don’t expect a break of these two barriers unless surprises occur. The overall trend is clearly bullish, so we favor the long side after a bounce at one of the mentioned support barriers. Similar to the US Dollar, the Pound will be affected today by manufacturing data in the form of the Purchasing Managers’ Index. The survey is scheduled for release at 9:30 am GMT and the expected reading is 56.5; the impact is medium-to-low and higher numbers strengthen the currency.